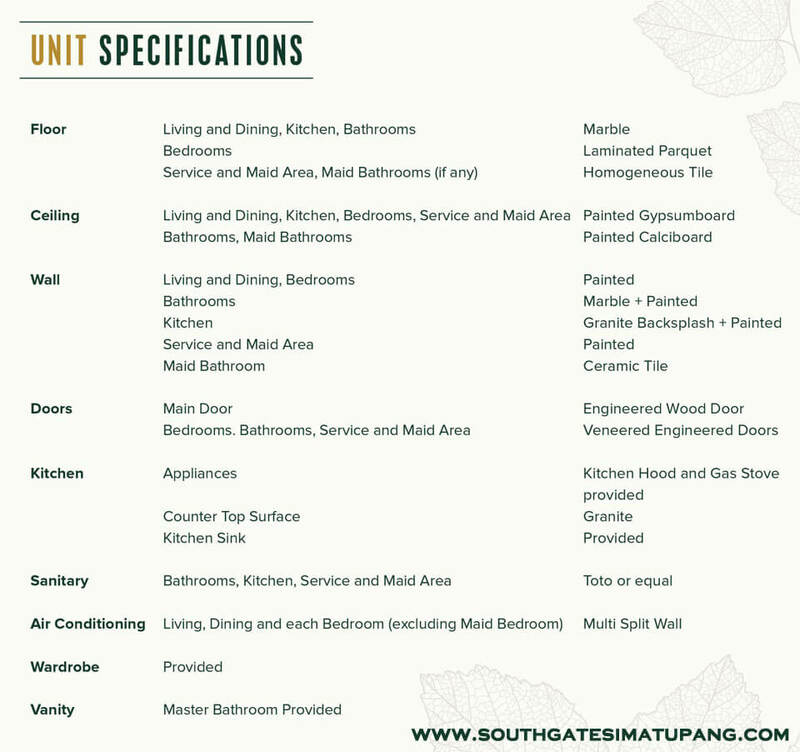 Specification apartemen Southgate di Tanjung Barat, Jakarta Selatan terbilang premium. Dapat dilihat kelengkapan spesifikasi unit SOUTHGATE apartment terbaru di TB Simatupang dengan partially furnished. * Bedrooms Laminated : Parquet. * Service and Maid Area. Maid Bathrooms (if any) : Homogeneous Tile. * Kitchen, Bedrooms, Service and Maid Area : Painted Gypsumboard. * Bathrooms, Maid Bathrooms : Painted Calciboard. * Bedrooms, Bathrooms, Service and Maid Area : Veneered Engineered Doors. * Kitchen Sink : Provided. Vanity : Master Bathroom Provided.